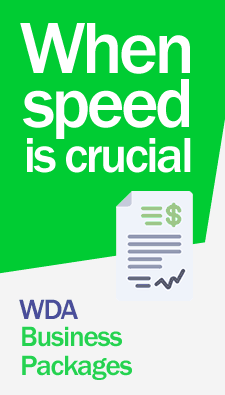 Incorporate your business or company in a short time through the Legal Services of WDA Lawyers. Our lawyers in corporate law incorporate your company, giving the entire legal advice that you require. For information on costs and fees contact us now. WDA International law firm, For the experience and high knowledge on corporate law, are highly prepared to provide the full spectrum of legal services to companies and investors who need assistance and legal support necessary for the construction of a business, investment, franchise, Contract, purchase of real estate, among others. In Santo Domingo, Punta Cana, La Romana, Barahona and any other jurisdiction of the Dominican Republic. To continuously advise our customers, in drafting its corporate statutes, legalization of documents, corporative guidance legal and business structuring, drafting contracts and so on. WDA Law Firm As a major international law firm, gives legal services to a wide range of international companies and legal organization on mergers and acquisitions; commercial real estate investment, foreign direct investment and joint ventures; NGOs (non-profit organizations) development of infrastructure projects and finance, telecommunications and technology transactions; manufacturing, licensing, distribution, agency, technology transfer and technical assistance agreements, international trade, trademarks, management and handling registration Investment and so pathetic. Our Firm also has an active and growing investment management for providing for the specific needs of our corporate clients. Intellectual property in the form of patents, copyrights, trademarks, trade names, is also critical to our business clients. We draft and negotiate licensing agreements for all these forms of intellectual property. In addition, we work with our intellectual property attorneys to formulate effective intellectual property protection programs for our customers, including the preparation of non-disclosure and anti-dumping agreements and processing of applications for patents, copyrights, and trademarks. In the Dominican Republic, Cuba and throughout Latin America and from the Americas to jurisdictions across the world such as China and Vietnam, when intellectual property rights are threatened, we work with our lawyers to take vigorous legal action to stop such activities and obtain compensation for damages suffered by our clients.